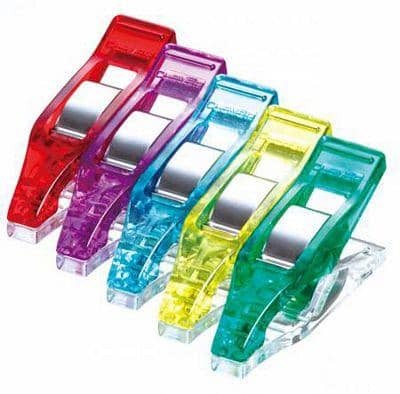 Use Mini Wonder Clips for precision clipping! The small size works well with miniature patchwork, doll clothes, and all work that requires holding pieces together in tight sections. Great alternative to pins, especially when working with vinyls, piles, and heavy weight fabrics. 50 clips per individual package.